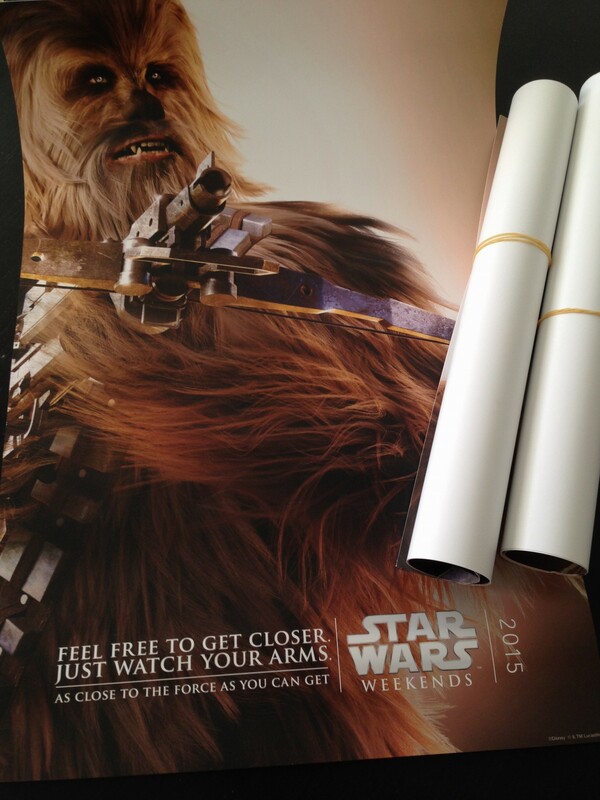 I made the trip over to Hollywood studios today and picked up the Chewy posters. Because I had three annual passes I was able to pick up three posters. It was great to be able to get three and I was able to pick them up right inside the entry. Most people were told to go over to Toy Story to pick up the posters but I had walked in from the parking lot so looked pretty beat. When I asked at the information desk, I think they felt sorry for me as I looked pretty worn and pointed me to three posters. 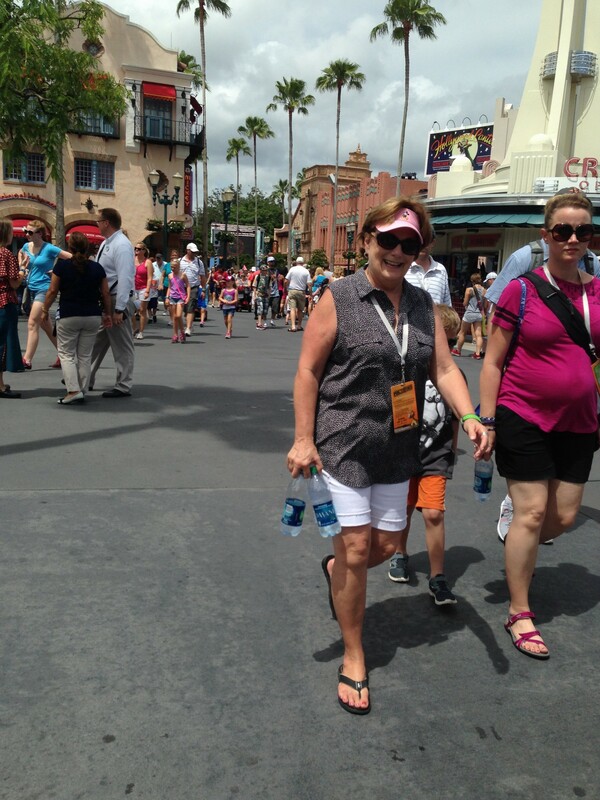 I did show them my annual passes so I should have a couple happy grandchildren when they come back to Orlando. This is what it looked like at the front entry today. Everyone was really enjoying the day and though it was hot, it was not brutal. Do you have a Dad who loves Star Wars? How about a shirt for father’s day?